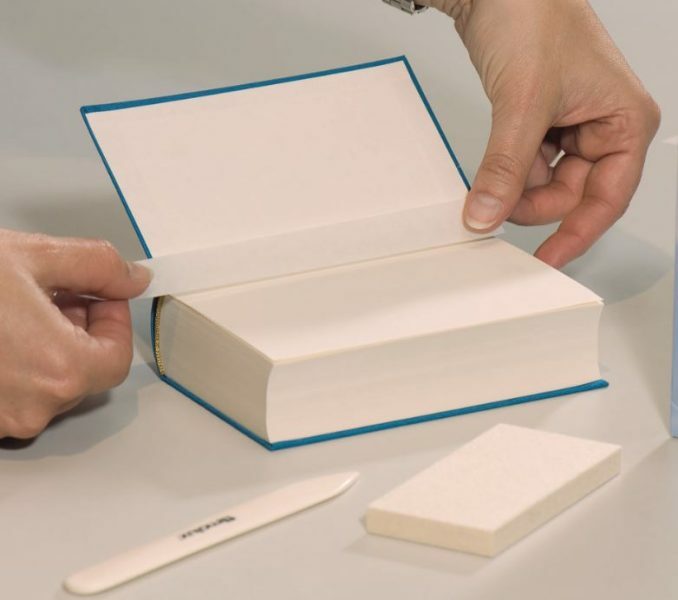 Fields of application: Repair, protection and embedding of papers, attaching torn out pages, repairing old quires, strengthening of inner book joint in paperbacks, repairing edges. Also fixing originals to passe-partouts or rear mounts and dust-free sealing of rear mounts. 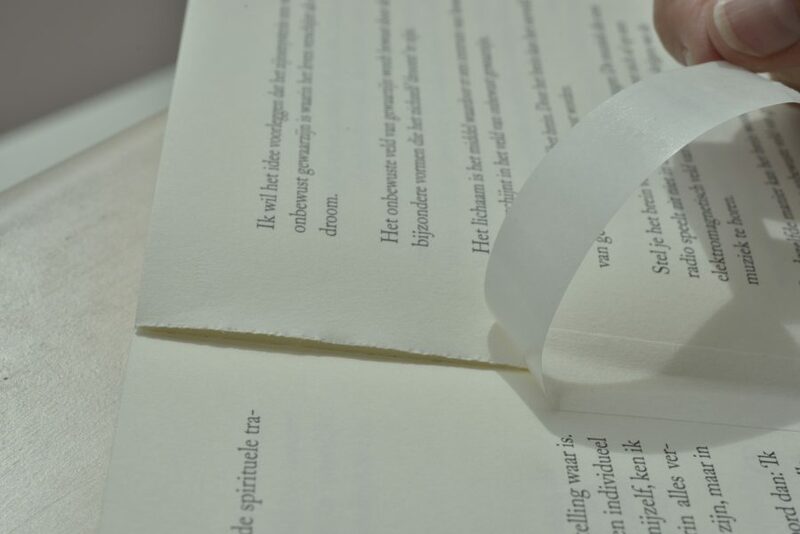 The white special paper is an ideal combination of stability and strength with softness. The adhesive is buffered with CaCO3, slightly alkaline so that damage to the documents is not possible, but with sufficient buffer capacity to prevent acid decay. 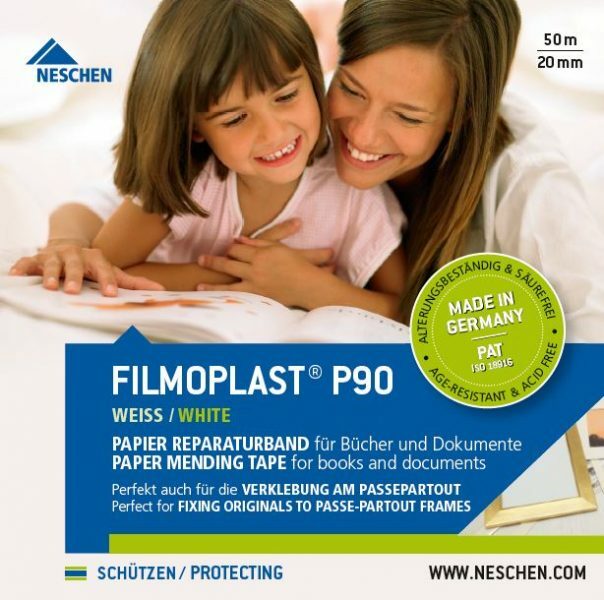 Ageing resistance certified by the Papiertechnische Stiftung (PTS – paper technology specialists) in Munich, branch Heidenau (PBA-No. : 21.495/2). Photograpic Activity Test (PAT) according to ISO 18916 passed.